If you use a screen – a computer, TV, tablet or smartphone – more than 3 hours of a day, chances are you’ve felt the symptoms of computer eye strain, also known as digital eye strain, an increasingly common condition. Dry itchy eyes, blurred vision, headaches and difficulty refocusing are some of the tell-tale symptoms. While for most people these symptoms go away after a good night’s sleep, long-term eye strain can cause permanent damage to your eyes. However, its not too tough to counteract all these negative symptoms. You can start by incorporating eye healthy habits into your day and use gadgets that can help. Our guide will outline 8 ways to protect your eyes in our ever-growing screen-centric world. Not many people realize this but When preventing eye strain from screens, always make sure your screen is the brightest light in the room. You can also adjust the brightness of your screen. On most newer laptops, very rarely should your screen brightness be at 100%, as it can be harsh on the eyes. To adjust the brightness on Windows, type “Adjust screen brightness” in the ”Start menu” to access the tool. Placing a small lamp next to your computer while you work will make it easier for your eyes to focus on the screen. There’s a strange phenomenon that happens when you look at a screen for a long time – you forget to blink. Blinking of course is important for keeping your eyes lubricated. The key here is to remind yourself to blink. 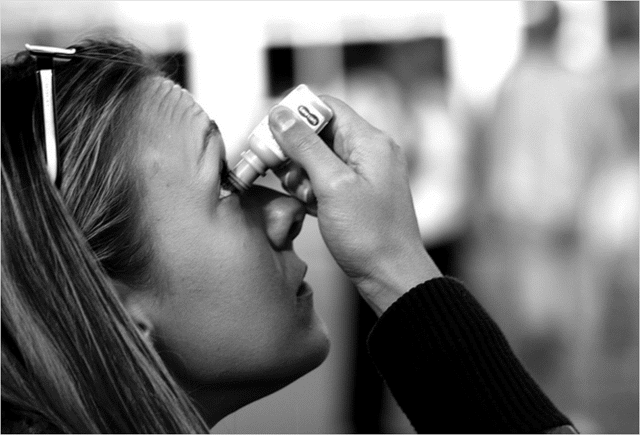 Even keep a bottle of saline eye drops on you if you have a long day ahead of looking at a screen. Re-wet your eyes every couple of hours or so too. While some applications won’t let you adjust the background color, if it is possible to be adjusted, you should do so whenever possible. Changing a white background to grey can be a boon to your eyes since there’s less glare, making it easier for your eyes to focus. Standing for – taking a break from your screen every 20 minutes by looking at something 20 ft. away for 20 seconds interval – the “20-20-20 break” is a great way to keep your eyes in shape. Even stepping outside briefly can help. Exposing your eyes to various light levels throughout the day is key. There are even a few great apps for Firefox and Chrome that will remind you to take that break. Protectyourvision.org has one such Firefox add-on. After customizing your 20-20-20 break on their site, it will alert you when it’s time to take a break. 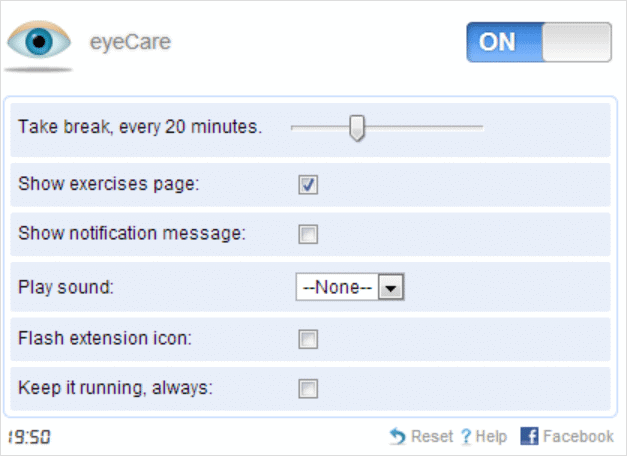 The Chrome extension that reminds you to take breaks every 20 minutes as well is eyeCare. 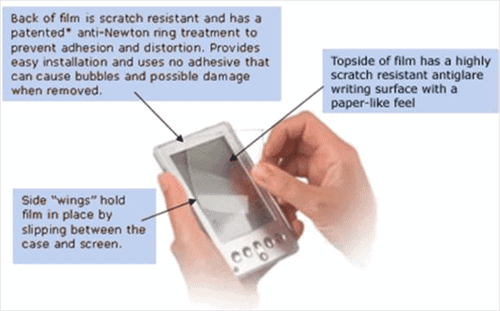 Anti-glare screen protectors are a relatively inexpensive product to consider for both your smartphone, computer or tablet. They’re essentially an overlay you put on the screen, helping make the whites seem less glaring. NuShield is a great company to consider. Having been around for 15 years, they make screen detectors for all sizes and all kinds of screens. Computer glasses are a good solution to consider if getting an entire anti-glare screen protector isn’t appealing. They also work great on smartphone screens. 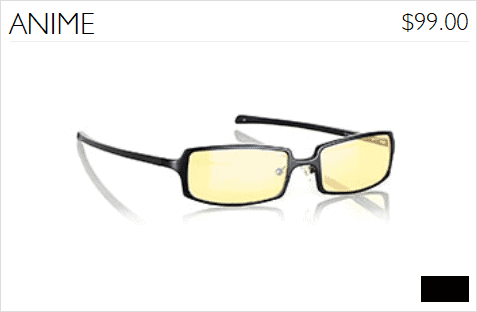 The glasses work by having a protective coating on each lens, designed to make the harsh whites softer. They also have a built-in magnifier. Foster Grant computer glasses at $30 are a steal, otherwise, Gunnar Eyewear is considered some of the best computer glasses on the market, ranging from $60 – $100. You can ever get your everyday eye prescription added to their glasses. You can also try calibrating your display by increasing the text size of everything in Windows. You can do this by going to “Display” under the “Personalize,” which is located by right-clicking the Desktop. Otherwise, you can increase your internet browser size by hitting “Ctrl” and the “+” key. 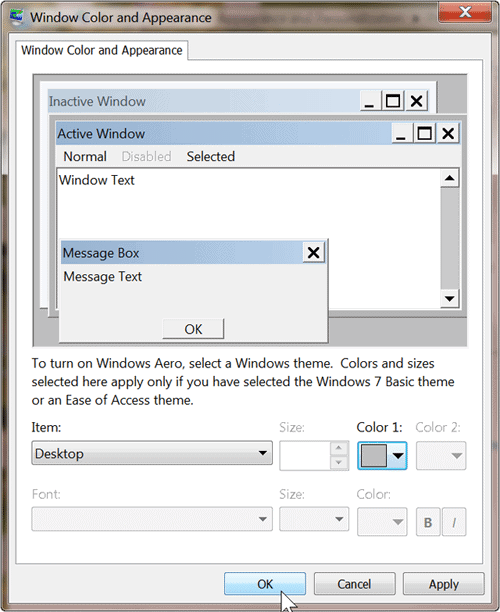 Lowering the screen resolution in Windows can help too, helping the text appear larger. 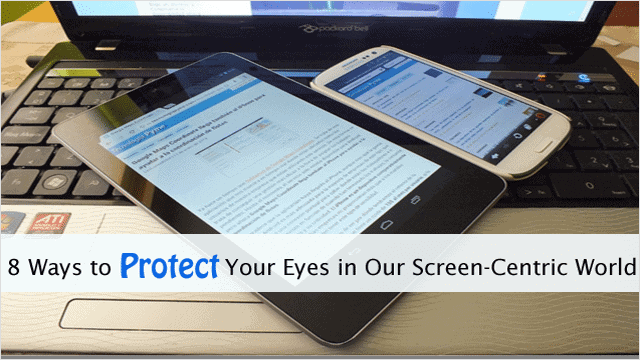 The exact placement of your screen can have a huge effect on your eyes. A lot of people wrongly assume that keeping their screen at their level is the best placement. This however is not good on the eyes, depending upon your blinking habits. By placing your computer on a lower table, like at coffee table height, you’re forcing your eyes to blink more and produce more lubrication. Along the same vein, also keep your screen an arm-length’s away. Making sure it’s at least 50 to 70 cm away from your face can reduce refraction and make your eyes less tired. Gadgets and good habits are all great things, but don’t forget to eat eye-healthy foods and to drink enough water. Fish that’s rich in DHA, like salmon and trout, are great for the eyes, as well as veggies high in Vitamin A, carrots, limes and green veggies for their antioxidants.